In Florida there is a residency requirement that must be met for a Florida court to have subject-matter jurisdiction. One of the parties must reside in Florida for at least six months before filing a petition for dissolution of marriage and have the intent to remain in the state at the time of filing. Generally this burden of roof is by clear and convincing evidence and is on the petitioner. However, either party may fulfill this requirement. This residency requirement requires an actual presence in Florida coupled with an intention to make the state your residence. One party may fie for divorce against another party who is no longer living in the state so long as they reside in Florida. 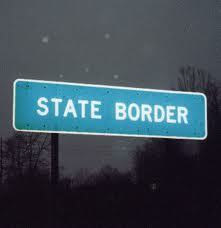 The residence requirement does not require that a person not leave the state for the entire six month period. For example there was a case where a woman spent her summers in a different state and filed for divorce in Florida. The court found that she had established a residence in Florida and simply vacationed elsewhere. If a party moves from Florida after they have filed the petition, they may still satisfy the residency requirement under certain circumstances. However, this may affect the party’s burden of proof to show a mandatory intent to remain a resident as of the date of filing. The judge will generally look at the totality of the circumstances if the issue of subject-matter jurisdiction is raised in a Florida Divorce. Call a Florida Family Law Attorney if you have questions regarding a Florida Divorce.